Standard Unit, 2 Bedroom & Loft & 3 Bath Town-home located in the Scenic Meadow area of Mammoth Lakes. The unit has spectacular views of the Sherwin Mountains and the Meadow Area. Sleeps up to 8 (approx. 1300 Sq. Ft.) . Kitchen remodeled with granite counter tops. New carpeting installed fall 2014. You enter the unit on the first floor which has both bedrooms and 2 full bathrooms. The second floor is the living room, kitchen, dining room and 1 full bath.The unit has a wood burning stove. The third floor is the loft (open into the living room by a half wall). Each bedroom has 1 queen bed, the loft has 2 twin beds and 1 trundle bed (i.e. 2 twins). There is a new sofa in the living room but it is not a sofa sleeper. Satellite TV on 3 TVs (1 flat screen in Living Room and master bedroom and TV in loft), 1 VCR, 1 DVD, stereo/CD player. Wireless internet in unit. No Phone in unit. Washer/Dryer in the unit. This comfortable unit is tastefully decorated with mountain style décor. This unit is No Pets and No Smoking but the owners do bring their own pet when they stay. There are a maximum of two outdoor parking spaces available. Snowflower Features a Hot Spa and Sauna, Summer Time Only Swimming Pool, Tennis Court, and On-Site Laundry. There are no Buses, Motorhomes, Trailers or any type of Towed Vehicles allowed on the Snowflower property. COMPLIMENTARY INTERNET and SATELLITE TV are provided, however NO REFUNDS will be given for connectivity problems or Internet failure. TOT LICENSE 807-SF15. Very nice apartment for ski trip groups. This was the perfect place for two families traveling together. Each adult couple had their own bedroom and bathroom. The 4 teenaged kids had the loft that offered 4 beds and plenty of space for them and they had their own bathroom. Great set-up for our group of 8. The view out the deck is breathtaking too! We loved staying in your home - thank you! Everything was perfect and we appreciate the extra amenities like electric blankets and warm bedding. We appreciate the opportunity to stay there! Great location. Large clean space. Limited parking but options to park elsewhere were available. Overall fantastic stay. Will be back! Thanks for a great stay! 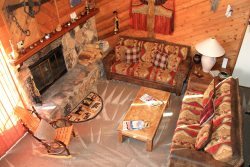 Perfect condo that was clean and well equipped with everything youd need for a weekend in the mountains! This is a great unit. The view is pretty and while its not close to any lifts, youre a short walk from the bus. Everything was very cozy and comfortable, wed stay here again. Thank you for a lovely stay! We had a lovely stay at SF 15 - it was our second time there and it did not disappoint. Thanks. We had a blast. Wished for more snow of course, but that can not be controlled! The accommodations were great.